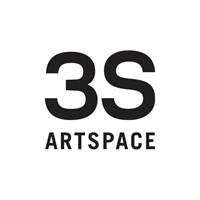 PORTSMOUTH— 3S Artspace is currently applications from qualified artisans to apply for the 2nd annual Form + Function artisan fair now through May 3, 2019. Form + Function will be held Saturday, November 16 and Sunday, November 17, 2019 at 3S Artspace in Portsmouth, NH. For this intimate and selective two-day event, 3S presents original work by 30 unique and talented craftspeople to the greater Seacoast community. 3S welcomes applications from artisans working in all major arts and crafts categories. Last year's inaugural event featured a showcase of handmade items in the following categories: textiles, housewares, jewelry, metal work, accessories, ceramics, prints, and more. Held in the midst of holiday shopping and gift-giving season, the event was met with great enthusiasm from the public and participating artisans, and 3S is already fielding many inquiries about the show's return. 3S Artspace hosted roughly 2,000 enthusiastic buyers at Form + Function, and this number is expected to grow in 2019. Selection notification: The jury will notify all applicants of their status by May 22.